It should come as no surprise that I am a fan of accessorising. Jewellery, in particular, is one of my (many) weaknesses. 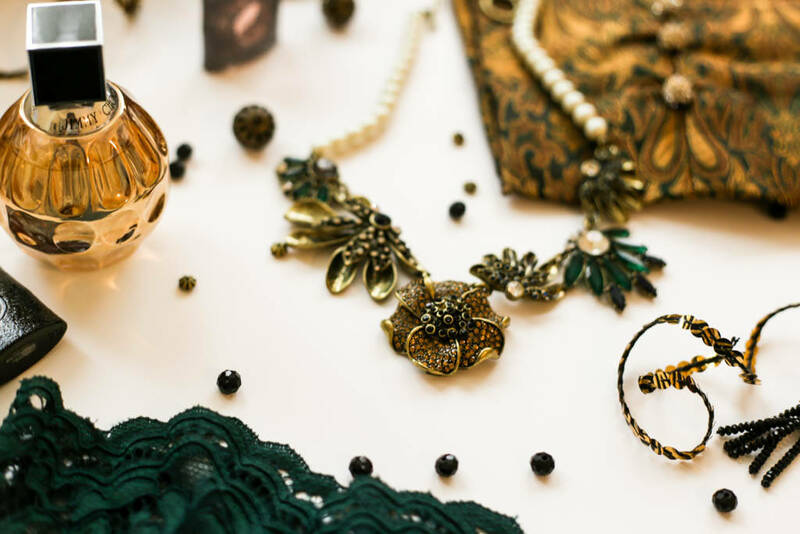 I’m sure many of you have seen my blog photos and Instagram always featuring some sort of jewellery and aside from making great props for my photos, I love to wear these items too! 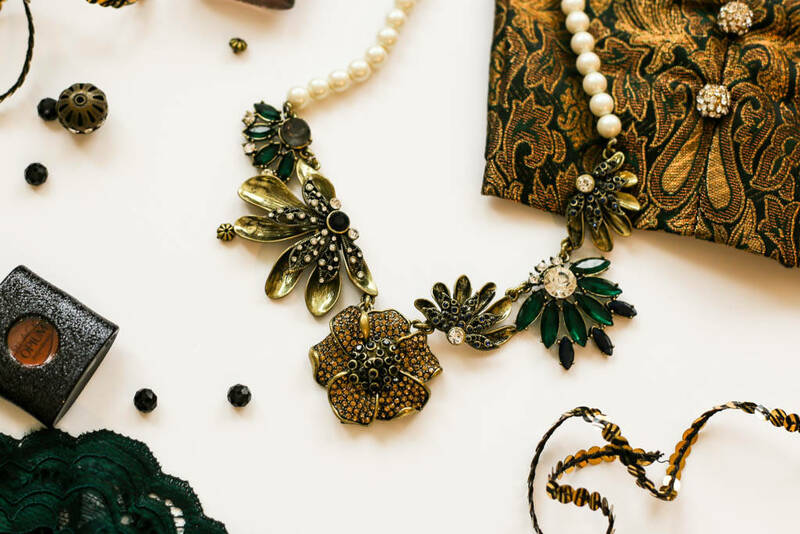 I particularly love sourcing unique pieces of jewellery, so when Happiness Boutique asked if I would like to feature one of their necklaces on my blog, I didn’t really have to think too much about it. 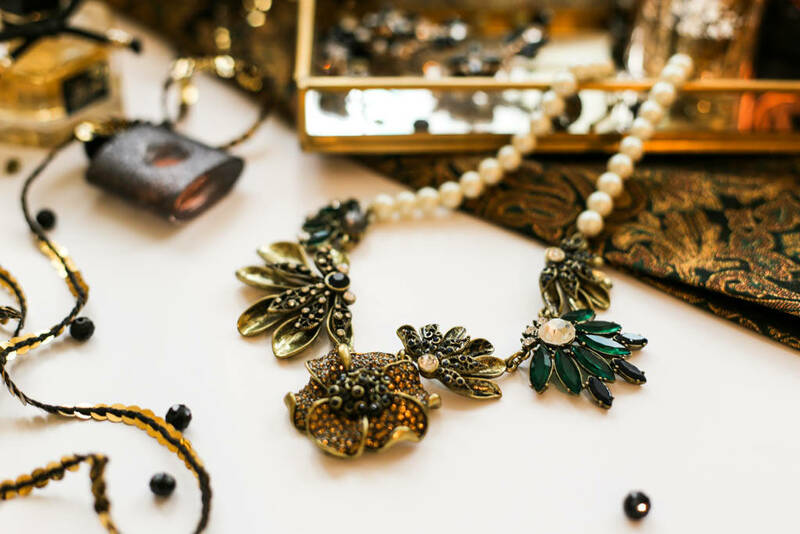 Located in Germany, Happiness Boutique sell vintage inspired jewellery from necklaces and rings to bracelets and earrings in a variety of styles and colours. With the choice up to me, I felt like a child in a sweet shop but pretty much knew straight away that it was this Elegant Pearl Statement Necklace* that I wanted. I must admit, I don’t normally buy jewellery online as it’s something I like to physically see first and I have had some not so good experiences with other sites, where what you see is not what you get. Luckily, I did not have this problem with Happiness Boutique and I am absolutely amazed at how stunning and intricate the design is given that this is just under 30 Euros. The fastening comes in the form of a T-Bar and although I prefer to be able to adjust my necklaces, this sits perfectly along the neckline. All in all, I am in awe of this and it’s got that regal vibe to it which I quite like. 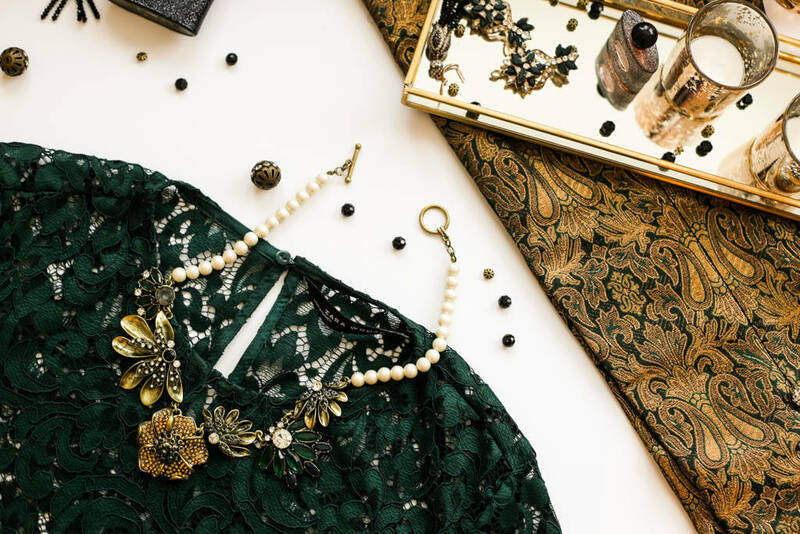 It’s the vintage design in antique gold and emerald-green, with hints of navy and black against a pearl chain that make this a stand-out piece and probably something I would save for a special occasion – with all those Indian weddings and events that come up every so often I know I’ll get good wear out of this and was what I had in mind when I chose this. 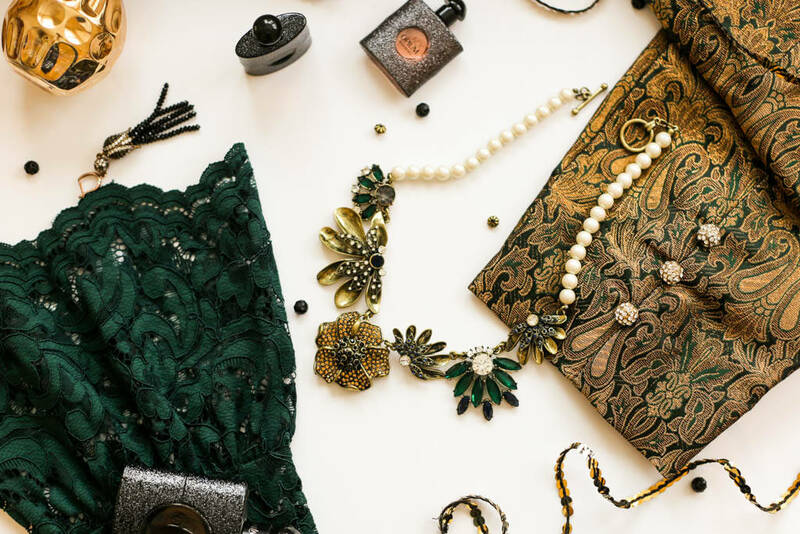 Luckily, Happiness Boutique offer a whole range of jewellery at affordable prices for all tastes and their site is easy to navigate where you can pick from the more delicate and dainty pieces and even by top trends, like rose gold for instance. They also offer a reward program where you can earn points by shopping, reviewing your purchases or posting on social media. To find out more about their reward program you can click here. Either way, with free international shipping and some beautiful pieces of jewellery, it is definitely worth a browse and Happiness Boutique are very kindly offering my readers a 10% discount on all orders over 19 Euros from 6th September 2017 through to 6th October 2017. All you need to do is enter franklyflawless at the checkout. If you are interested you can visit their website here. *This post contains PR / Gifted items. Opinions are always my own.